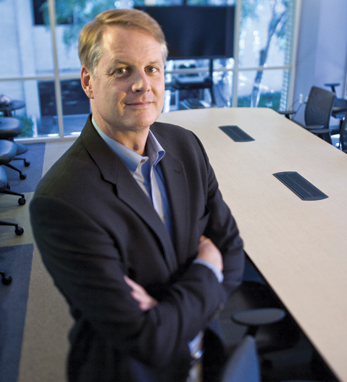 John Donahoe is the President and CEO of eBay Inc., and has global responsibility for growing each of the company’s business units, which include eBay Marketplace, PayPal and Skype. Prior to his position as President and CEO of eBay Inc., Donahoe was President of eBay Marketplace and during his three years there, doubled its revenues and profits. Donahoe was Worldwide Managing Director of Bain & Company, a global consulting firm, for 23 years prior to joining eBay. Donahoe received a B.A. in Economics from Dartmouth College and an M.B.A from Stanford Business School. He is an active alumnus of both schools, serving on the Board of Trustees of Dartmouth and the Advisory Board at Stanford Business School, as well as serving on eBay Inc.’s Board of Directors. A fifth-generation Irish-American, Donahoe is very interested in his Irish ancestry. His family hails from Tipperary. Timothy Donahoe, his great-great-grandfather on his father’s side, came to the U.S in the mid-1800s. He is married to Eileen Chamberlain and they have four children.